VOCE is pronounced “voh-che” and is Latin for voice. The MrSpeakers VOCE is a headphone which has been designed to deliver uncompromising electrostatic resolution and clarity with bass output that extends deep into the subsonic. The MrSpeakers Voce is also very light and comfortable, with an extremely large soundstage and a neutral voicing VOCE is MrSpeakers most accurate headphone. 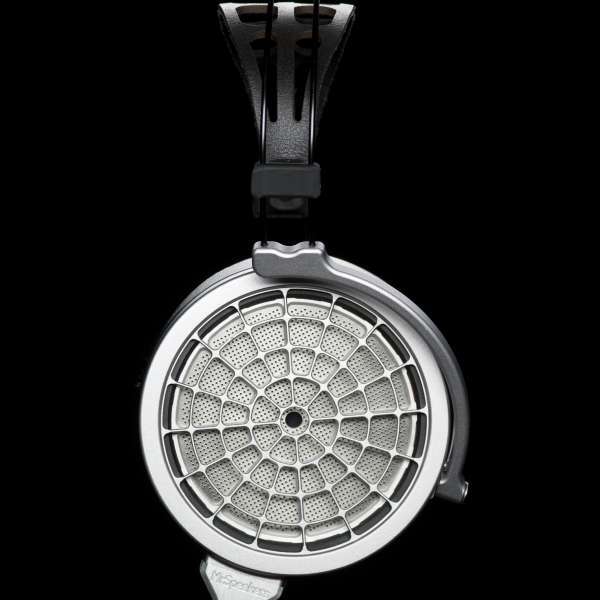 The cable that come with this headphone is a custom silver-plated copper variant, low capacitance round wire in a carbon fiber style weaved cloth jacket. This cable has been designed to be very silent with zero microphonics and a relaxed drape for easy management. 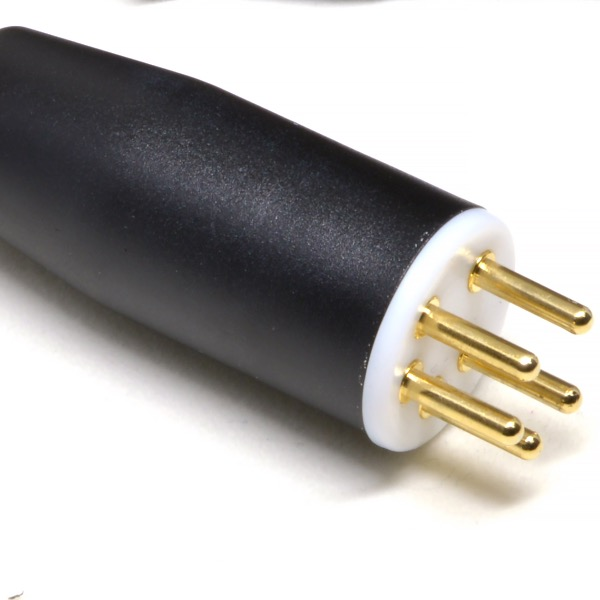 The VOCE is a 560v pro bias unit so the cable is terminated with a pro bias gold plated 5-pin jack. Having a detachable system at the bottom of the cups. MrSpeakers have provided a mechanism in the cable connector at the base of the cup to change the cable but it does need a small amount of DIY work which the tools are provided. This strikes a nice balance between connector quality and having the ability to change that cable without sending the whole unit back to us. The VOCE also comes with 3 different types of tuning pads and visually they are not hard to differentiate between each. They are very easy to put into the cups and work much like any other MrSpeakers tuning pads and requiring no DIY work. Simply slip them into the ear cup and you are good to go. The first is a very thin white acoustic filter made from polyester fiber and a little foam ring around the outer edge. Gives a top-end attenuation and may allow more detail and resolution to come through compared to other filter pads. The second is a stiffer but thinner black filter made from a synthetic felt material. This filter can take a little edge off the top end,which can be good for some harder-edged guitar work and generally more forgiving sound on bad material. The last filter is a thick black foam made from a polyurethane material and it can attenuate the top end by quite a bit and dulls the vocals compared to using the VOCE without pads or the white filter. These filters do not have to be used or can be used with each other not just on there own, it is up to the user. First, if you are new to electrostatic headphones it's essential to understand that they require dedicated electrostatic energizers or amplifiers. Energizers are typically more cost effective, while dedicated amplifiers deliver a higher level of performance. Energizers are available from Trilogy Audio (UK), iFi, and Stax. Second, it is not uncommon for electrostatic headphones to make a "ripping" or "zipping" sound when the diaphragm contacts the stator (this is sometimes called a "stat fart," or something similar). This typically occurs when putting the headphone on, or taking it off, or if you press on the headphone cup while listening. This is considered normal behavior and is not indicative of a problem with the headphone, unless the diaphragm doesn't release (which causes audible distortion). Designed, built and tested in San Diego, CA, Voce is offered with a 2 year warranty for parts and labour. We offer a 2-year warranty for parts and labour, commencing with the date of the original purchase. The warranty is transferable, provided there is documentation of the original purchase. The warranty does not cover damage by the owner (opening the unit, dropping, damage by failure of electronics, etc. ), or that was intrinsically wrong with the product we received from any our suppliers. We will repair or replace defective goods at our discretion.